to worship in local farmer A. W.
point of this rural community. 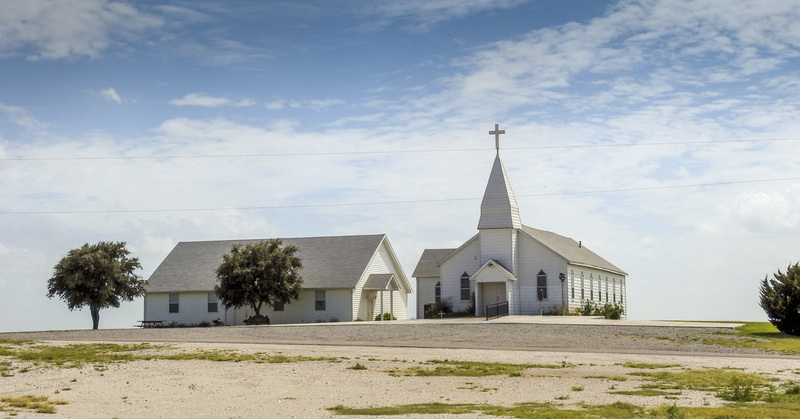 Friburg-Cooper Methodist Church, July 2015. 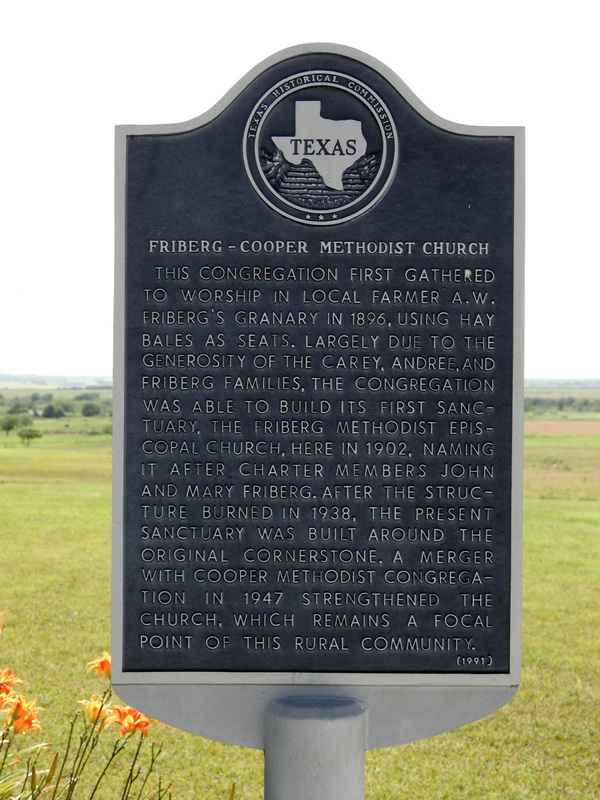 The marker stands in front of the church on Farm Road 171, Wichita Falls, Texas 76301. GPS: 33-degrees 59' 58.5" -98-degrees 27' 25.6".